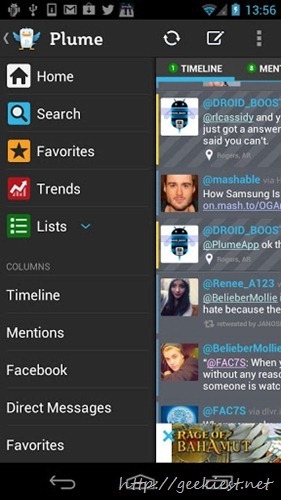 Plume is an Android Twitter client application, which was previously known as Touiteur . It offers Free and paid versions. The free version will include advertisements and sponsored contents. This application supports Tablets too. 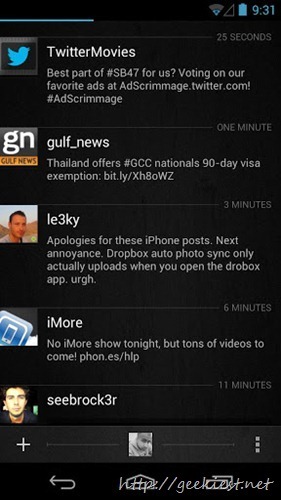 Carbon experience for Android SmartPhones. No Tablet support yet. Simple, Dark, and a dash of elegance for your Twitter day-to-day pleasure.